Developing strong partnerships capable of transforming schools and creating great new learning environments requires significant planning and implementation support as districts must work thoughtfully and intentionally with community members and operators. The steps that follow outline a pathway to developing such partnerships. Texas Partnerships are most effective when they connect to a district’s broader vision for student success that considers academic goals, the diversity of student needs, expectations for low-performing schools, and a desire for continuous (and at times, dramatic) improvement. Ideally, districts will form that vision in concert with the community and use that vision as the north star guiding all school actions. First, districts should establish and apply transparent and objective criteria for identifying existing schools, or neighborhoods where a Texas Partnership would address a specific community need. That could mean launching an innovation school partnership in a rapidly growing part of town or restarting a struggling school at risk of closure as a turnaround partnership school. This first step should produce a list of possible partnership schools the district can share with potential partner organizations. The list also serves as starting point for working with school communities in the partnership process. Secondly, districts should identify schools for a Texas Partnership based on the school performance framework or additional criteria, such as school readiness, community support, and potential for matching it with qualified partner organizations. Districts should also consider alternative school actions, such as school closure or redesign, that may be more appropriate for meeting district and school objectives. Through this two-step approach, districts will be able to narrow the list of potential schools to focus on those most likely to succeed. Districts should actively engage their community in the partnership process, giving students, parents, staff, and other community members an opportunity to ask questions, learn, voice their concerns and hopes, and actively participate in the process of choosing a partner. Texas Partnerships are more likely to succeed when the families those partnerships are intended to serve are active participants in the process. It is critical that the district communicate clearly and consistently with all of its stakeholders. The district should clearly articulate the reasons for the partnership, the goals for partnership, and what families can expect from the process. It is also essential to set clear expectations for community involvement. Community members should know when they will have an opportunity to vote, shape a policy or statement, or provide feedback – and how the district will then use that information to develop the partnership. Finally, it is important to anticipate that partnerships may be challenging, especially in districts where partnerships do not already exist, and families and school staff feel uncertain about the future of their school. Districts must set clear expectations about the partnership, including how it will form and how it will work, and to communicate at each step along the way. Texas Partnerships will only be as successful as the partners participating in them. Recruiting great operating partners is difficult and takes time. Districts should ideally begin recruiting potential operators as soon as they think they may want to partner and should start cultivating a pipeline of leaders and high-performing school operators to support this work. Local campus partner applications should allow the district to assess the partner’s capacity to operate the school, including how they will address the specific school needs identified in the call for quality schools. Ideally, multiple organizations would apply to manage each school, providing the district and school community a variety of options. In those cases, the district should vet applications to ensure applicants have the capacity to operate the school. Districts should also carefully consider and communicate the role that parents and other school community members will play in the application review and approval process, including how the application process will work and how and when decisions will be made. Districts can create opportunities for parents and community members to play an active role in the approval process by including community representatives on the application review team, or by forming parent/community councils that select partners (or submit preferences) from a pool of district-approved operators. All local campus partner applications must receive local board approval. Districts should be sure to schedule time for this step that recognizes both the board’s meeting schedule and the time needed to win support. It is not uncommon for board decisions to approve school partnerships to be controversial, with significant public testimony and input. The partnership may result in significant changes to school staff and educational programming. Partnerships may also fundamentally shift roles and responsibilities for the school district, the new operating partner, and other community members and organizations that have had an ongoing relationship with the school. 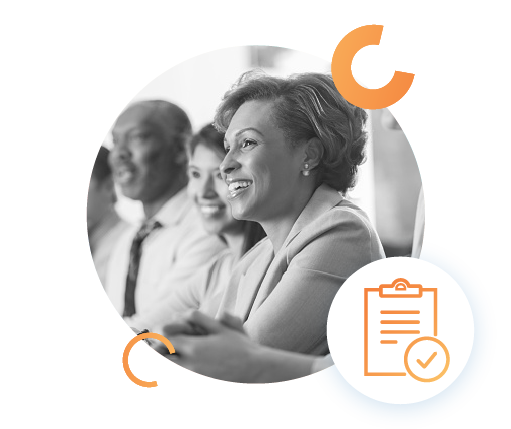 District leaders can help prepare their local boards to make these difficult decisions by providing detailed information about the school identification and partner selection processes and allowing adequate time for board members to evaluate the opportunity and hear community input. In accordance with a district’s local authorizing policy, the performance contract formalizes the partnership, clarifies roles and responsibilities, and sets expectations for the partnership. Any district that applies for partnership benefits must submit an executed Partner Performance Contract to TEA. TEA will review the contract against the Partnership Performance Contract Evaluation Form to confirm that the contract meets SB 1882 statutory requirements. TEA will review provisions related to partners’ operating authority, academic performance goals, financial goals, school enrollment and expulsion policies, contract terms, charter exemptions, service level agreements, per-pupil funding allocations from the district, accountability for implementing an education plan, and consequences for breach of contract. TEA has also created a model contract as a sample for districts to utilize in beginning negotiations and finalizing negotiation terms.